Egga Food’s egg packing station, classified as Higher Level by the International Featured Standards Food, can process and package up to 192,000 eggs per hour – making it one of the most efficient egg packing stations in Western Europe. Dyed eggs are not just for Easter. Our machines produce eggs decorated with a number of patterns for countless events each year, including international celebrations. 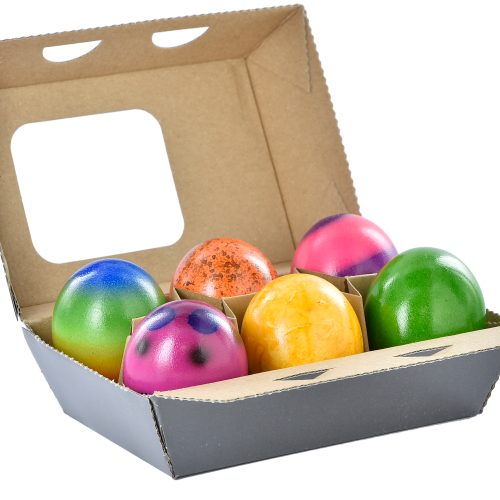 The Netherlands’ largest professional egg dyeing facility also dyes eggs for carnival and Halloween. This is one of the most modern and efficient boiling and peeling companies in Western Europe. We prioritize hygiene, flavour, consistent quality, and efficiency. Our boiled and peeled eggs are subject to the highest standards of quality and hygiene before we send them to wholesalers, caterers, food service companies, and producers of salad and sandwich products. 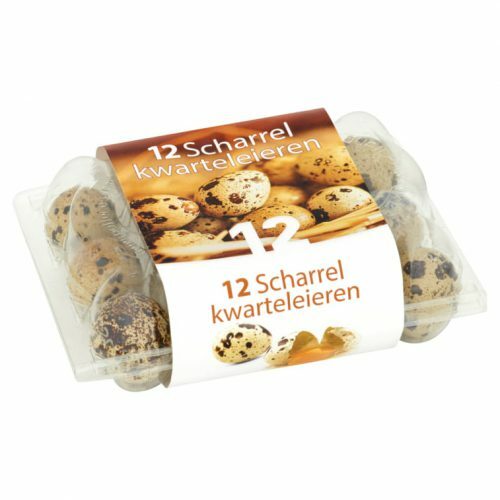 Ospel-based Egga Food is one of the largest egg processing companies in Europe, and one of the most modern ones in the world. Annually, approximately 100 employees work to cook, dye, peel, and package hundreds of millions of eggs. This amounts to several million organic, barn, and free-range eggs each week. Certified poultry farms from across Europe deliver these eggs, which are subsequently delivered to businesses in the egg processing industry, wholesalers, supermarkets, food service companies, and caterers throughout Europe, Africa, and the Middle East. An array of ultramodern machinery ensures that all operations are performed by machines, under the strictest guidelines on hygiene.